The Respect Access to Care Act: Would enshrine the right to access abortion in state law; repeal Wisconsin abortion restrictions not grounded in medical evidence. The Respect Medical Accuracy Act: Would ensure patients receive evidence-based information from their doctor, protecting the doctor-patient relationship from political interference. The Respect Patient and Provider Safety Act: Would provide law enforcement with training to better prevent and respond to acts of harassment and intimidation at reproductive health care clinics. 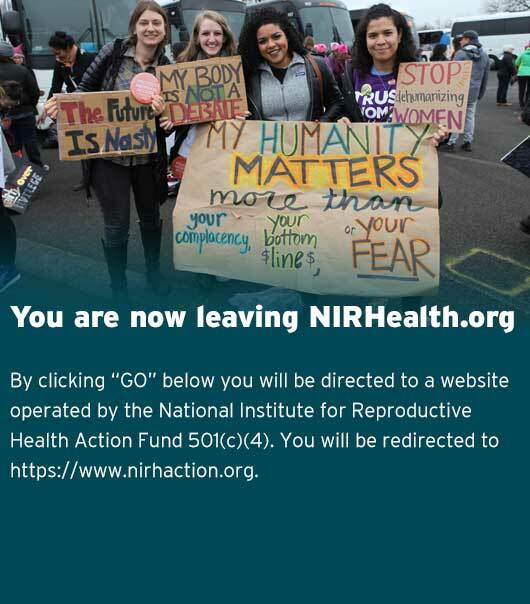 “The National Institute for Reproductive Health (NIRH) is proud to have partnered with the Wisconsin Alliance for Women’s Health to aid in the introduction of the Respect Women Act. Wisconsin has passed more than 20 anti-abortion laws in the past 40 years and anti-choice leadership in Washington, DC is working overtime to dismantle access to reproductive health care – today’s bold action by Sen. Erpenbach and Rep. Taylor is needed now more than ever.